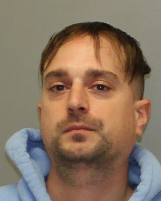 A 30-year-old Rochester man was charged with Criminal Possession of a Controlled Substance 7th Degree on September 27, 2019 following the report of a drug related incident at the Attica Correctional Facility. According to New York State Troopers, officers out of SP Warsaw were dispatched to a complaint at the Attica Correctional Facility in the town of Attica. A K9 Correctional Officer on scene detained Michael R. Kostiw after a small clear plastic baggy containing .7 grams of cocaine was found inside of his vehicle. Troopers arrested and processed Kostiw at SP Warsaw. Kostiw was issued an appearance ticket returnable to the town of Attica Court.